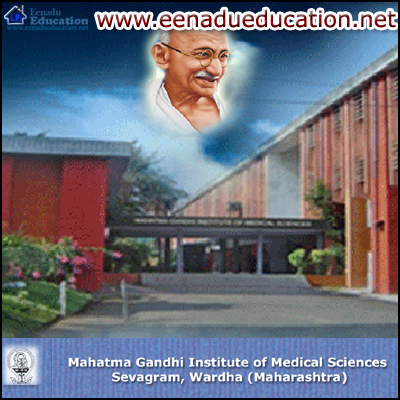 The Mahatma Gandhi Institute of Medical Sciences, Sevagram is India’s first rural medical college. Nestled in the karmabhoomi of Mahatma Gandhi, in Sevagram, this Institute was founded by Dr Sushila Nayar in 1969. The candidate must attain 17 years of age on or before December 31 of the year of admission. The Candidate must have passed 12th standard examination under 10+2 system of Maharashtra State Higher Secondary Education Board or equivalent examination of any recognised Board or any Indian University with English, Physics, Chemistry and Biology individually in each subject in one and the same attempt. The candidate must have obtained minimum 50% marks (40% in the case of SC/ ST/ VJ/ NT/ OBC) taken together in Physics, Chemistry and Biology. The admission is subject to any direction given by the Hon'ble Supreme Court of India, Hon'ble High Court of Bombay Bench, Nagpur, Maharashtra University of Health Sciences, Nashik and the Medical Council of India. Those students who are going to appear in 10+2 Higher Secondary Board Examination in March / April 2012 are also eligible to appear in the competitive Entrance Examination. Admission criteria: The candidates shall be selected as per their merit in the Entrance Examination. 1. Paying a sum of Rs. 1000 personally at the cash counter of Dean’s Office. 2. Or by remitting a sum of Rs 1100/- (Rs.1000 + Rs.100 as postal charges) at any branch of State Bank of India by Challan. The details of submission of challan are given here. Application deadline (with late fee) - March 10, 2012.